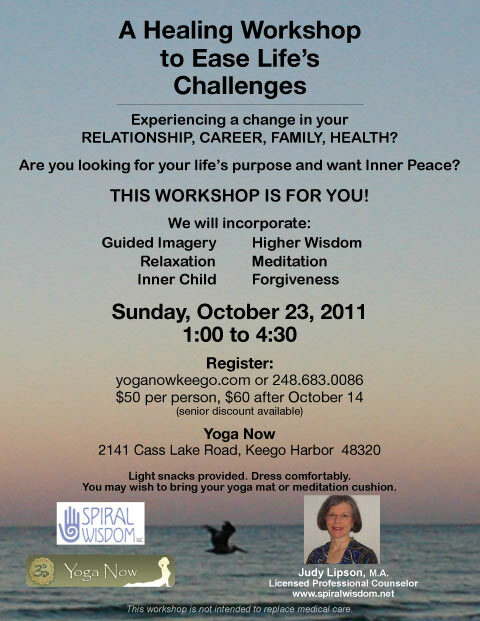 Experiencing a change in your RELATIONSHIP, CAREER, FAMILY, HEALTH? Are you looking for your life’s purpose and want Inner Peace? Light snacks provided. Dress comfortably. You may wish to bring your yoga mat or meditation cushion.